The number one rule of every successful relocation is to avoid rushing if there is no need for it. Stop for a moment, take a deep breath and instead of panicking, you should calm yourself down and organize your move step by step. You’ll need to answer some important questions, like what your budget for the move is, or when you will move. Once you come up with the date of your move, you’ll know how to manage your time properly. You’ll know when to start packing or when to hire a moving company. Write down your moving plan – it will be your everyday reminder. Being organized and sticking to the plan is one of the most important things to do in order to make relocation a breeze. If you want to have an easy relocation, call your friends! You’ll need all the help that you can get. Try to lure them by making delicious syrups out of leftover herbs or with some tasty snacks no one could reject. And don’t forget about your family and colleagues. Even if you get only a person or two to help you, you will be grateful for their help. We have to be honest with you – this is probably the most boring part of your move. If you’ve been living in your home for a longer period of time, there is a big chance that you have many unnecessary items in it. So, your job will be to find those items and to separate them from the ones that you’ll be moving to your new home. While purging, keep in mind that many items can be used in different ways. For example, you can use coffee filters to make Greek yogurt. Pretty innovative, right? So, even though there’s nothing interesting about this step, you’ll soon realize the importance of decluttering. First of all, you’ll be able to make some money if you decide to sell your unwanted items. Second, you’ll have a chance to make someone happy by donating your stuff. Last but not least, you’ll have less stuff to move, which means you’ll spend less on your relocation and you’ll make relocation a breeze. Now is not the time to be lazy! If you don’t want to panic on your moving day, you’ll have to pack most of your items before the big day. This is why having a moving plan is important. Look at your calendar and decide when the best time for you to start packing is. Keep in mind that there are some packing rules that you’ll have to follow. Sure, you can just organize your ties by rolling them and put them in a moving box. But what about breakables, electronics, and antiques? Well, this is where you’ll have to be extra careful and pack properly. 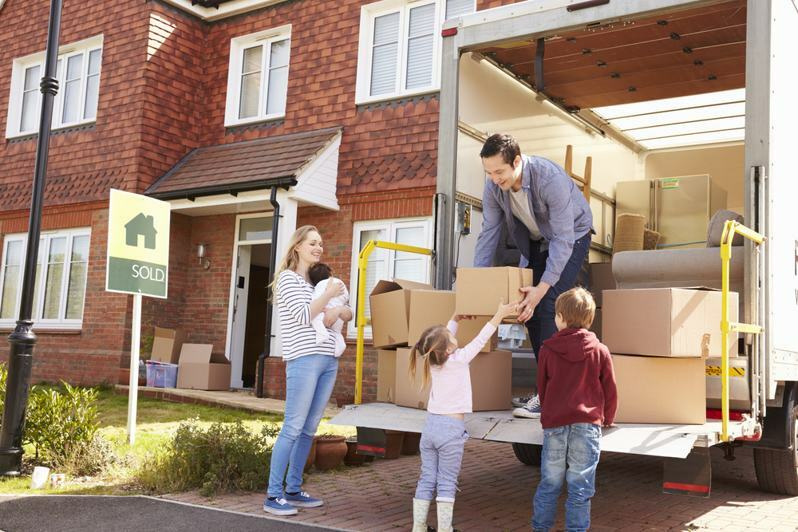 If you don’t have enough time to pack all of your stuff, remember that there are many moving companies that can help you with it. For example, you can hire Best Cross Country Movers to help you with packing, unpacking, dealing with bulky items and fragile ones. Just contact your movers and ask them about their additional moving services. If you don’t want a moving disaster, learn how to pack your fragile items. How can one moving company make relocation a breeze? Not all of us have the time or nerves to deal with the relocation. And this isn’t a big deal since there is always an option to hire a moving company. You can find reliable movers in Florida, New York, California, Texas… you name it. There are many professionals who can help you with your relocation, but you’ll need to know how to recognize them. Learn how to avoid moving scams, and you’ll find yourself the right mover. With them and their additional services, you’ll be sure that your precious belongings are in safe hands and you will relocate in no time. Whether you like to clean or not, cleaning before and after the move is mandatory. If you don’t clean before the move, you will end up with chaos in your home. In order to avoid this, start cleaning as soon as possible. Use clever tips for cleaning complicated rooms like the bathroom, kitchen and garage. For example, you can clean your shower head by tying a bag of vinegar around it, make your own natural cleaning products, and use an old toothbrush for cleaning surfaces that are hard to reach. Use these cleaning hacks and clean as you pack. If you clean as you pack, there won’t be the need for excessive cleaning at the end of the moving day. If your goal was to make relocation a breeze and you succeeded in it – congratulation! That was a big deal! Now you are ready for starting a new chapter in your life. The opportunities that are waiting for you are endless! But, there is still something you’ll need to take care of. Before you start your new adventure, don’t forget to throw a goodbye party! Forget about moving just this time and focus on having fun. And throwing the most memorable goodbye party is the best way to do it!